Since 1999 the Detroit Public Schools (DPS) system has been under siege by successive Republican and Democratic state administrations. Politicians and business interests have viewed the district as a political and economic resource to the detriment of the city residents, students and parents. Under the guise of improving the system, correcting inefficiency and stamping out corruption, the worst case-scenario has emerged leaving the largest per capita African American populated major city without an independent and self-governing school district. When the Michigan state legislature took control of the DPS in 1999, the district had a $93 million surplus with a voter-approved $1.5 billion bond issue aimed at school improvement. Today after 17 years of undemocratic control and interference, the system is broken, largely insolvent and incapable of making rudimentary repairs to its buildings leaving students, teachers and administrators to work in deplorable conditions. Earlier during 2016, teachers engaged in a series of “sick-outs” in response to the working conditions where leaking roofs, mole, mushrooms, heating problems and leaking water have become the norm in what is supposed to be a modern municipality. The fragility of the system under a series of emergency managers from 1999 through 2005, and then again under the former Democratic Governor Jenifer Granholm in 2009, another dictator was appointed, in essence finishing off the system which has lost approximately 140,000 students. Over 200 school buildings have been closed along with thousands of teachers, counselors, social workers, administrators, clerics and other education employees forced out of their jobs. In a recent phase of this state-controlled destruction of a school system, the Republican-dominated legislature has crafted yet another scheme that will only make matters worse in Detroit. No consideration was given to the needs and desires of the people of the city in order to perpetuate further disempowerment and underdevelopment. The entire aim was designed to carry out its objectives based upon an ideological aversion to public education and labor unions. Such an assertion could not be further from the truth. The system of public education in Detroit has been stripped of any viability and quality. This is by no means an investment in students, educators and their communities but an act of colonial rule imposed for the purpose of exploitation and national oppression. The emergency management system which has been imposed on school districts across the state as well as municipalities largely impacts majority African American districts. 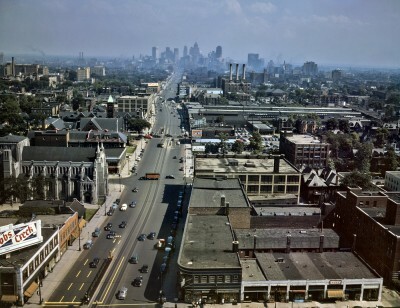 Systems in cities such as Highland Park, an independent municipal enclave surrounded by Detroit, and Inkster, a suburb of Detroit, have been entirely liquidated. Charter school education which was designed and implemented during the 1990s has taken away the majority of students within Detroit and other municipalities. In Highland Park the charter system provides education for all residents of the city. This also holds true for Inkster where those not swallowed up by the charter system are sent to neighbouring districts. The charter education system remains unaccountable to the State Board of Education structures and is allowed to function without adequate monitoring and controls. By and large charter schools resist unionization and therefore collective bargaining between the teachers and the administrations. Consequently, under the charter school model there are extremely high turnovers of both educators and students. The education system is turned into an unwieldy “market place” where schools are like revolving doors failing to provide the stability, consistency and uniformity of standards that mark any successful teaching and learning system. The plight of Rivera is quite common in Detroit. Such stories abound amid a local school district disempowered by right-wing benign neglect coinciding with the forced subjugation of Detroit residence under financial stability agreements, emergency management, forced illegal bankruptcy and continuing “oversight” by an unelected review board appointed by politicians who work for the banks and multi-national corporations and not the people. On May 17, 1954, the U.S. Supreme Court in its Brown v. Topeka ruling declared that “separate but equal” education is inherently unequal and a violation of the constitution. Nonetheless, after six decades the conditions overall have not improved for African Americans and Latinos. In a recent decision by the federal courts related to the public school system in Cleveland, Mississippi, it was found that the district still maintains segregated education for African American and white students. However, this district still receives federal and state funds to operate despite its continuation of the practices of racism. Consequently, from Michigan to Mississippi, racism in education remains part and parcel of the nationally oppressive system of racial capitalism and apartheid. Moreover, these issues are not being discussed by politicians even during a national election year. Neither the Democratic or Republican parties address the crisis in education inside the U.S. This clearly illustrates that the system of American capitalism cannot provide quality schooling for the growing majority of students of color which attend the public school systems throughout the country. Therefore it is quite clear that the problems of racism and class bias within education cannot be divorced from the broader questions of national liberation and social justice. In order to build a viable education system for all students irrespective of race and class there must be fundamental transformation of the capitalist system guaranteeing people the right to learn on an equal basis. This can only be achieved under socialism where all forms of class exploitation and national oppression are eradicated.